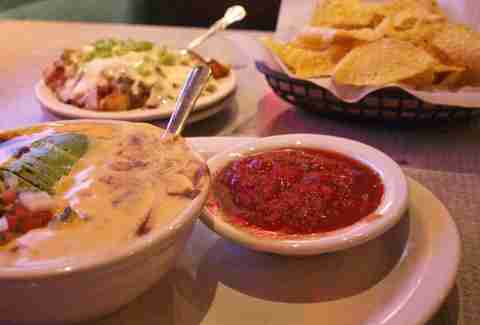 A meal in Austin simply isn't complete without a bowl of thick, creamy queso (that's cheese dip, for all you non-Spanish speakers!) set to be emptied with more tortilla chips than anyone should reasonably consume. Here are 10 places doing it better than anywhere else. Got a favorite we missed? Let us know in the comments. If you’re from Austin then it is impossible that you have never been here. If you haven’t then you’re probably one of the few people rocking A&M colors. 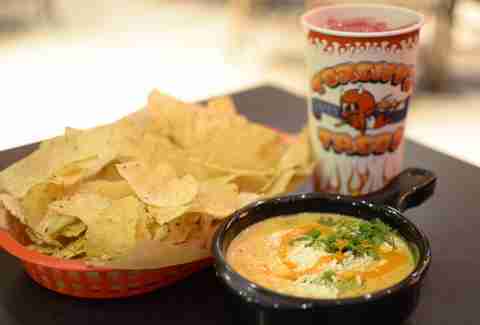 Torchy’s is legendary for their "Damn Good Tacos", but did you know they have some awesome queso too? 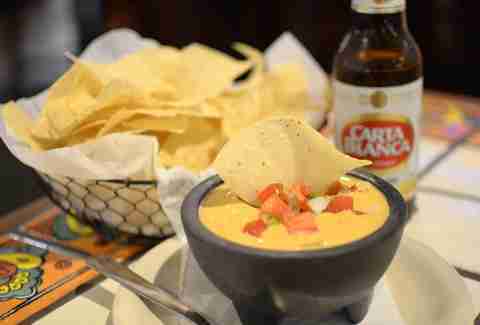 The green chile queso is definitely a crowd pleaser. It is thick and chunky with green chilies, cilantro, and topped with queso fresco and their mouth-burning Diablo hot sauce. Texas Chili Parlor is a classic. The chili is always spot on and the beer is always cold. However, when you mix said chili with a little golden gift from the dairy gods? 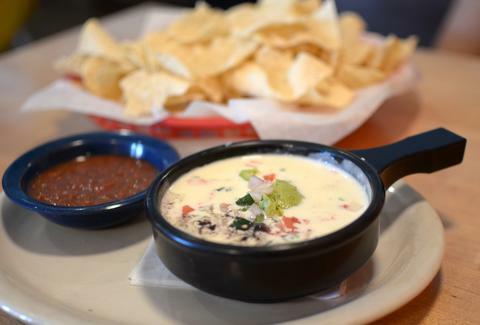 You get some life-changing queso that somehow makes you feel like you are trying it for the first time, every time. The thick chunks of chili meat make the chips heavy with deliciousness as you power through the bowl. Try to keep your composure and avoid going to a spoon. 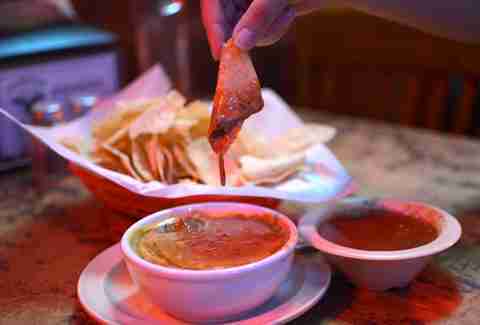 While queso is typically the handiwork of Tex-Mex joints, it belongs to the world! 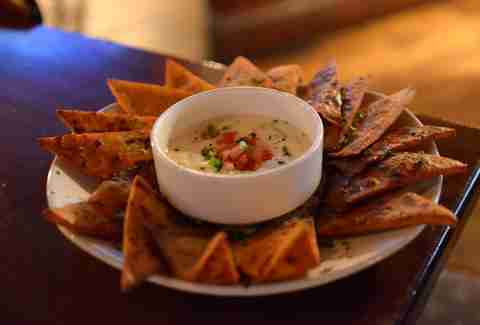 This Irish pub is pouring up pints, but when it’s time to eat, do yourself a favor and go for their cheese dip & wedges. These aren’t your average chips and cheese. Instead, you get a gooey blend of white cheddar, pepper jack cheese, and green onions that make for a complex, thick dip along with their side of "boxty" wedges (think Irish potato pancakes). Here's to cultural harmony. 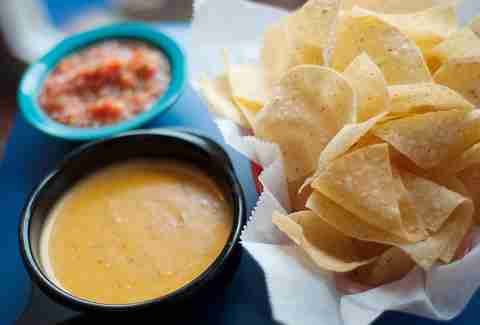 An Austin original that keeps things simple, Maudie's Diablo Sol Food is a queso dish that makes it sound like you're in for some serious heat. In reality you're just getting classic chili con queso with a sizable dose of fresh pico de gallo. Bonus: the serving they give you is enormous -- plenty big to sustain you through multiple margaritas. Chuy’s is another Austin original that is known for their great Tex-Mex, but their queso is what really gets our attention -- during happy hour it is free and served in the back of a Cadillac trunk, where they have a free "nacho car" that's loaded with some of the freshest salsas, creamy queso, and warm chips to snack on over margaritas and beer. Don’t be a cheapskate -- order plenty of drinks so that you don't get any looks when you make your way back with a towering pile of chips and cheese. When they say "Mag Mud" at this late-night institution, what they mean is a generous helping of creamy queso bulked up with black beans, avocado, and pico de gallo that has fulfilled many a post-midnight (and pre-midnight) craving. 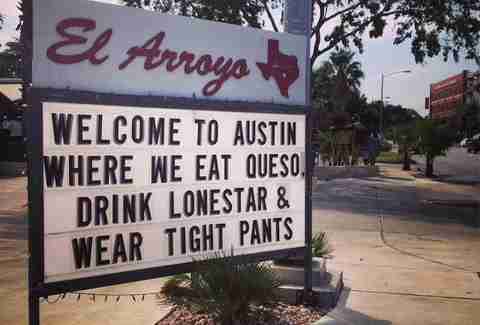 El Arroyo is known for their funny signs that change daily, but don’t think that they only get by on their humor. The food at El Arroyo is legit, as are the happy hour specials, which go quite well with some of their golden and perfectly spicy Queso Compuesto, with ground beef, pico, and guac -- thick and oozing with just the right amount of heat. Benji’s is located along a row of bars and lounges on West 6th, combining a party-heavy atmosphere with an upscale take on Tex-Mex, which means they can be a bit on the pricy side. Luckily, their happy hour features a $4 menu, which means you're checking out their Queso Blanco, a blend of melted Oaxaca, Chihuahua, and jack cheese with roasted chile pico de gallo. 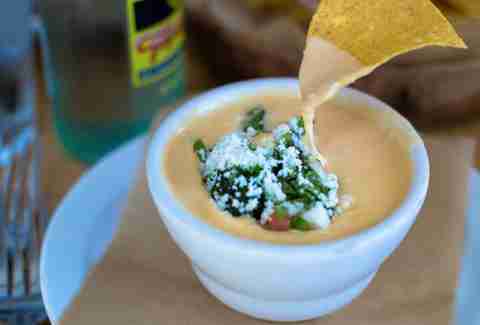 The roasted chilies give this queso a smoky flavor and the blend of cheeses ends in a perfect consistency. Mike Cortez is an Austin writer and photographer who has a love for loud music, great food, and craft beer. He is the author of Beer Lover’s Texas and runs Texas Beer Guide. Be sure to tweet him @TexasBeerGuide.